Crawford Tire opened in 1967 as a Mom and Pop gas station that sold tires and also did mechanic work. Crawford Tire is very family oriented with three generations here working at the shop! 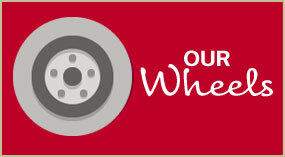 We have serviced the automotive repair, tire, and wheel needs of those in the Ocoee, FL area. 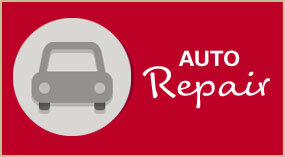 The mechanics at our NAPA Auto Care Center are trained to accurately diagnose automotive issues the first time. Crawford Tires main focus is succeeding in customer service because we know that it’s the returning customers that keep us where we are, and that our top advertisement is by word of mouth. So please call us or come into Crawford Tire Service, Inc. for a quote on an automotive repair service, new or used tires and wheels, or you can schedule an appointment online. Gone but never forgotten, we love you! Raymond “Junior” Crawford, Founder of Crawford Tire Service, Inc.
Crawford Tire offers competitively priced consumer tires, commercial tires, farm tires, RV tires, industrial tires, and OTR tires from some of the industry’s best tire brands, including MICHELIN®, BFGoodrich®, and Uniroyal® and many more.